1) playScene which basically receives an item and based on the received item it calls CCDirector to play a scene. 2) displayMainMenu which uses images as buttons to call a second level menu item. 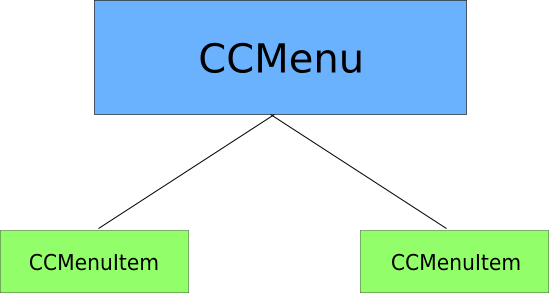 It basically creates menu items and then uses them to populate CCMenu menuWithItems. 3) displaySceneSelection which is called from the displayMainMenu which then takes the user selection and passes it to playScene.